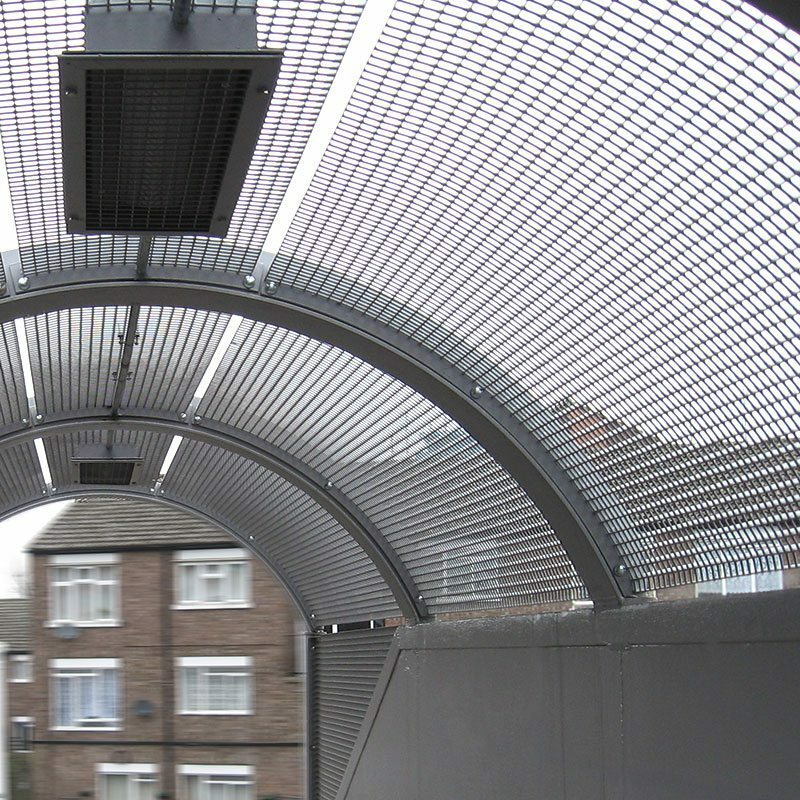 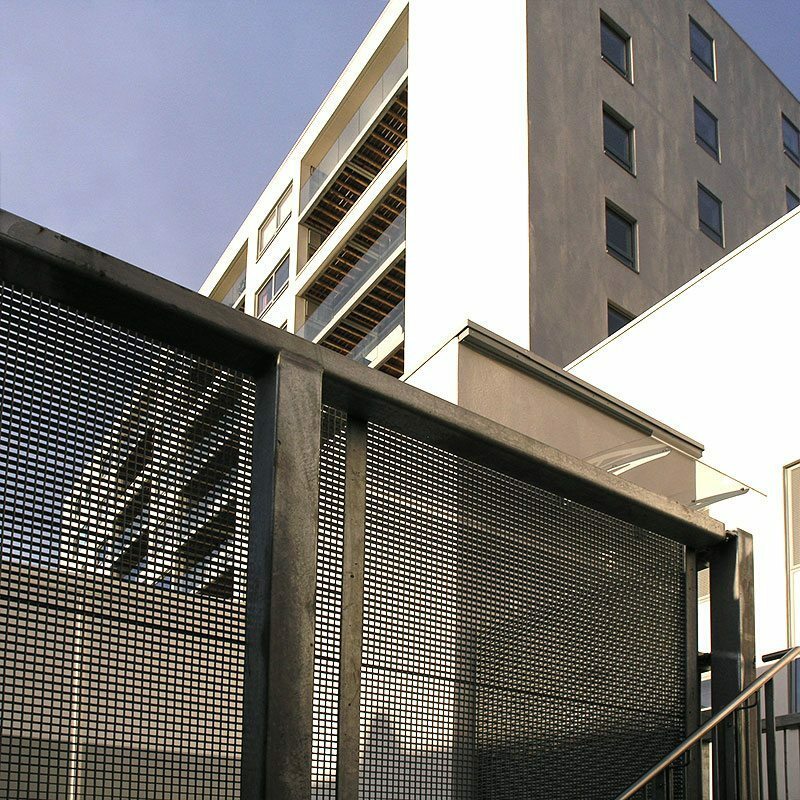 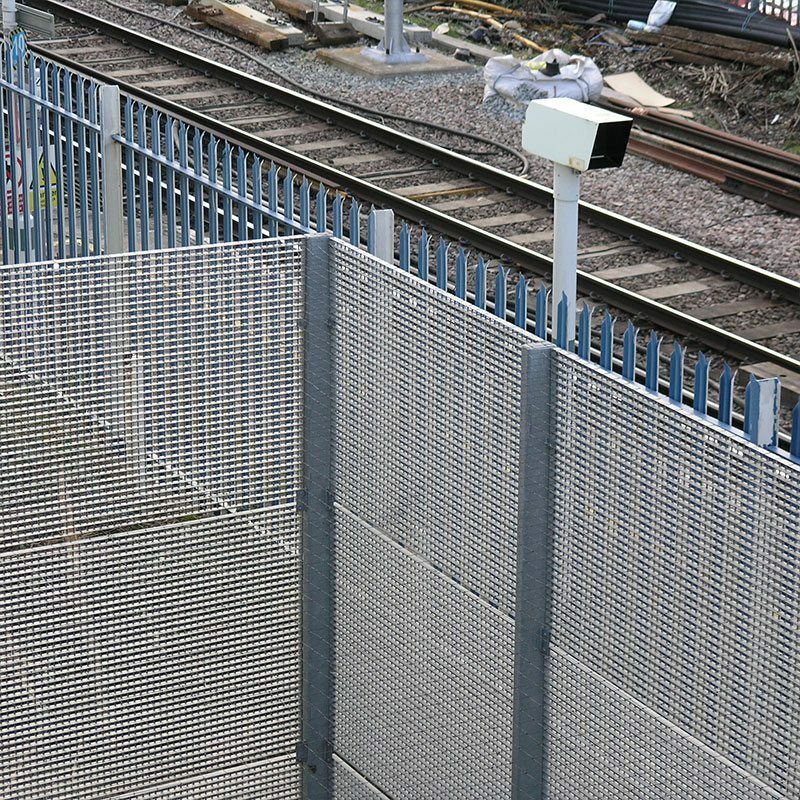 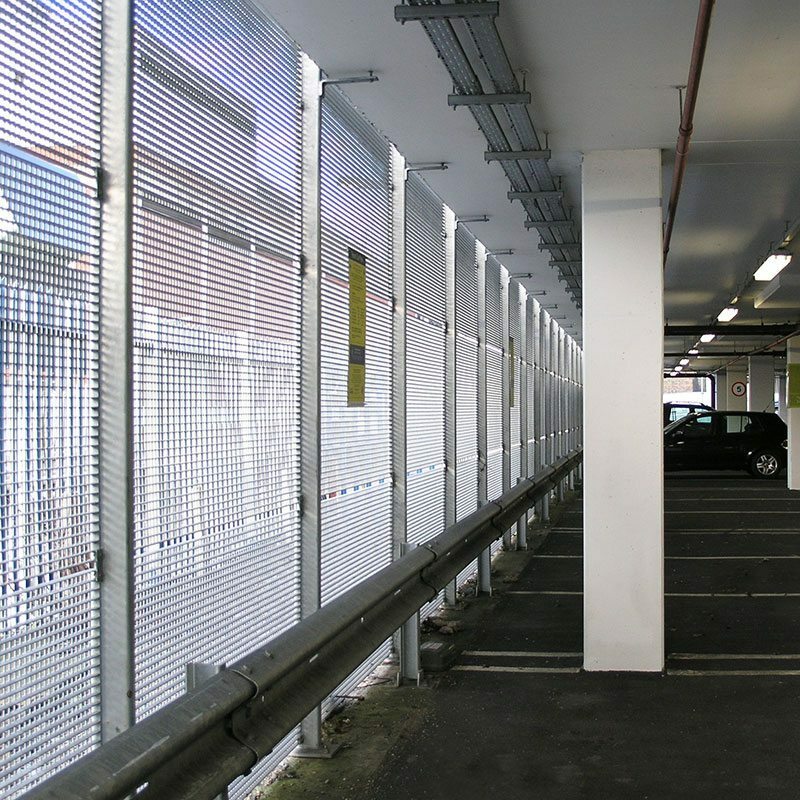 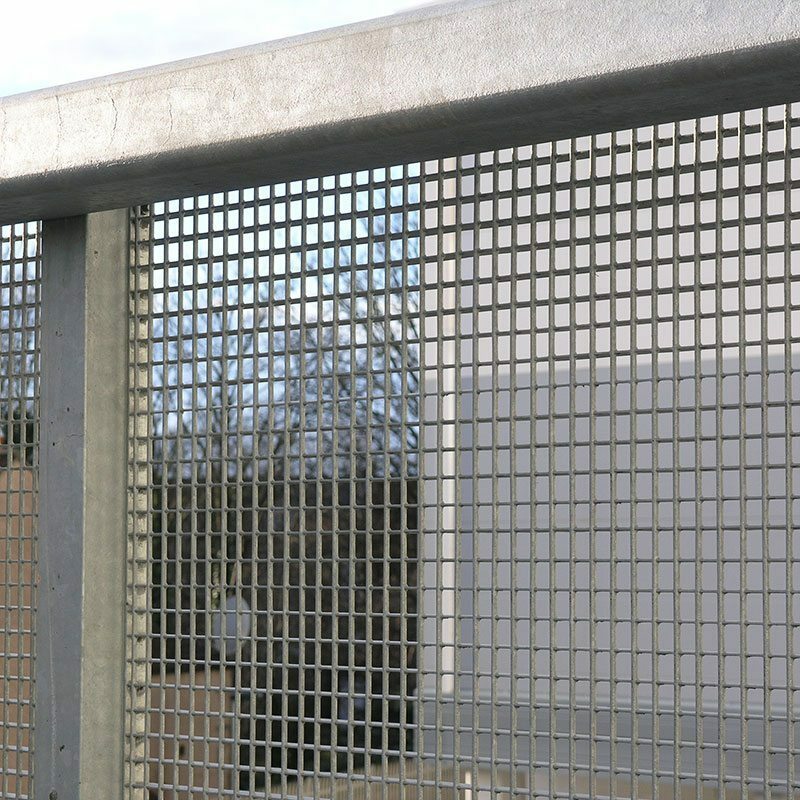 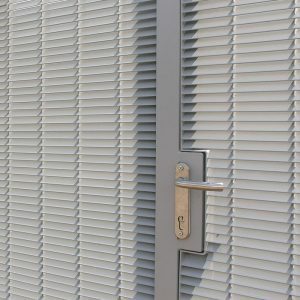 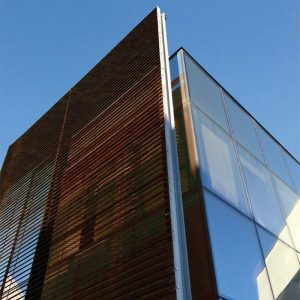 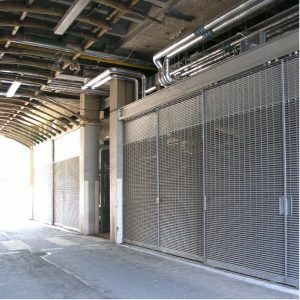 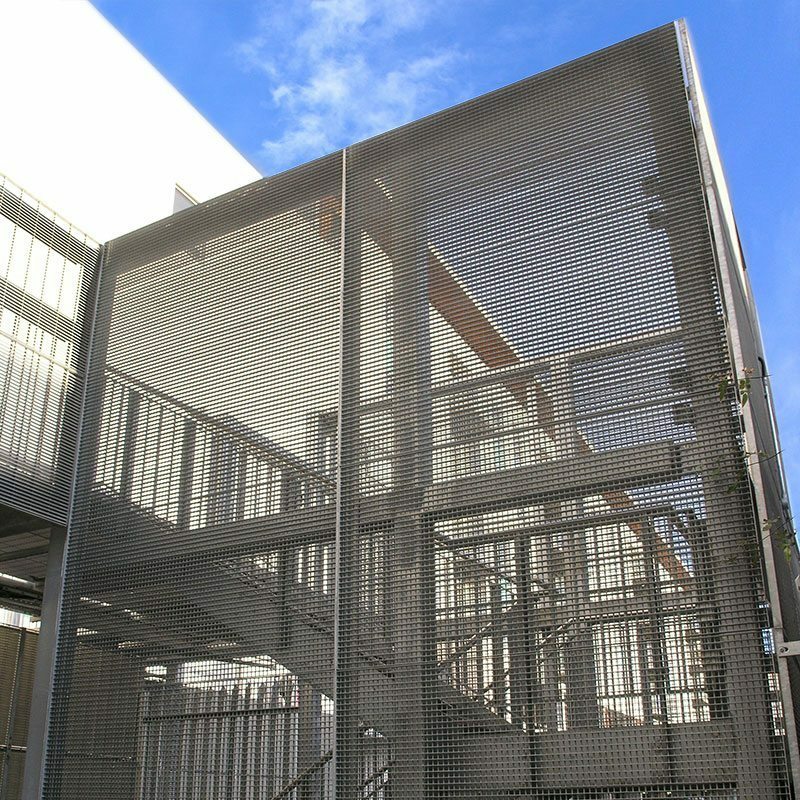 Piazza-25 grating has an extra small aperture and is therefore the recommended grating for screens where there is considered to be a threat from projectiles or for securing enclosures at high risk from vandalism. 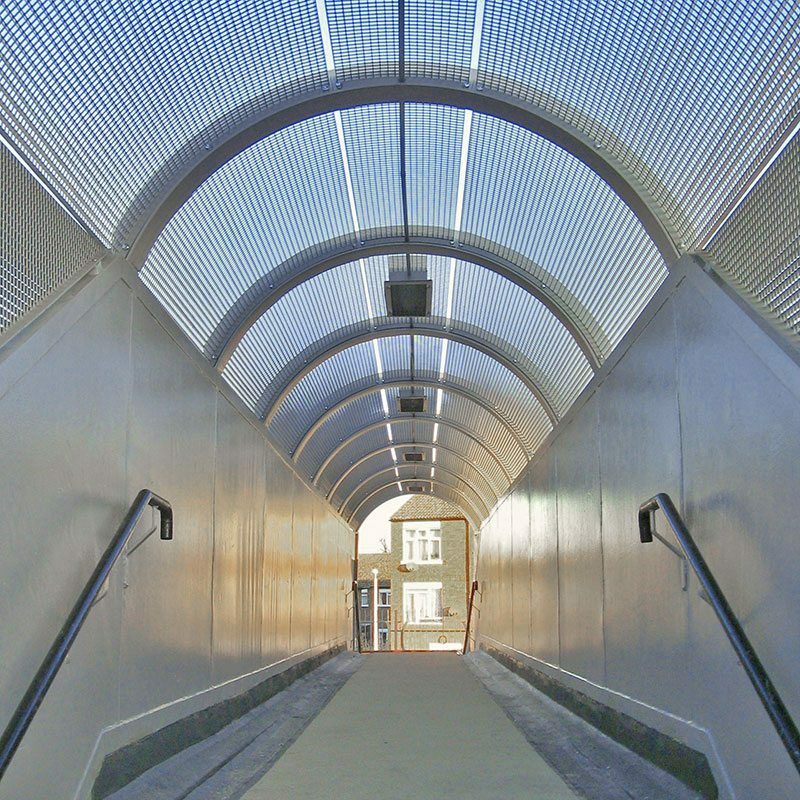 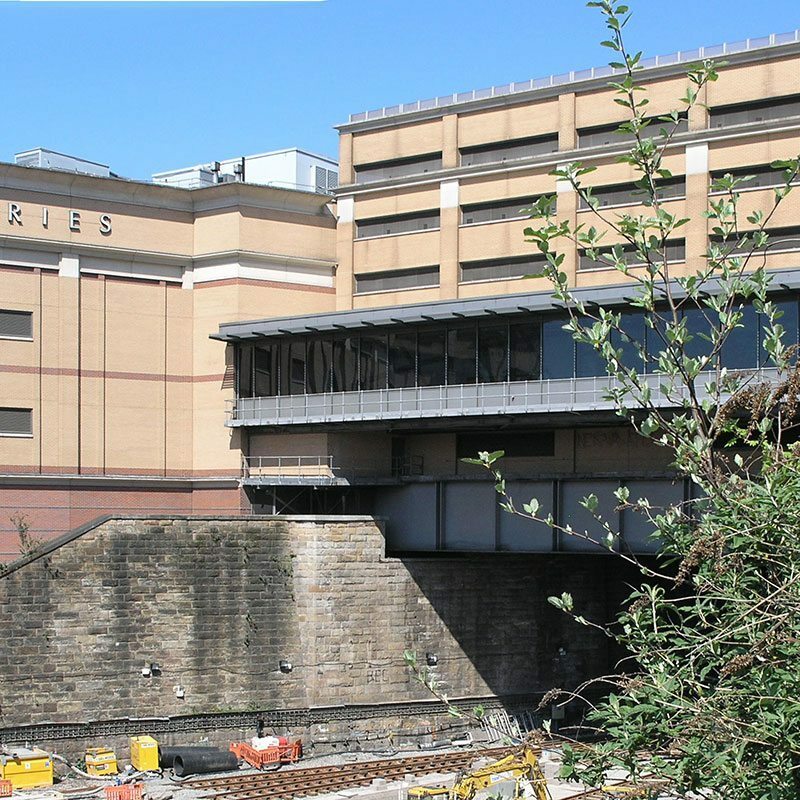 Lang+Fulton have worked on several projects with Network Rail supplying panels of Piazza-25 in conformity with the regulations for safeguarding rail tracks. 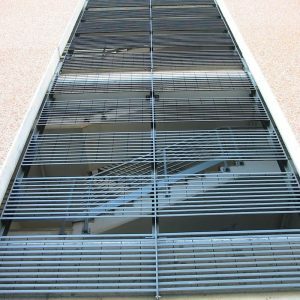 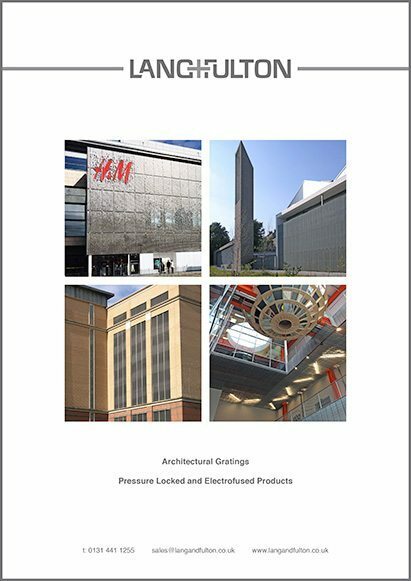 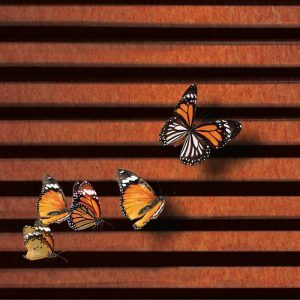 Composition & Appearance: for all vertical applications Lang+Fulton’s electrofused gratings are made from flat bars and attractive plain round bars, rather than the utilitarian twisted square bar which is produced by other manufactures and is more suited to industrial floor grating. 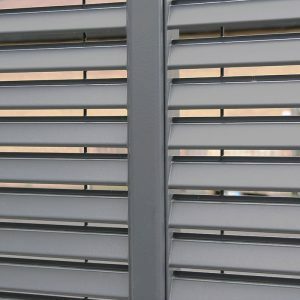 Panels can be rotated according to the required span. 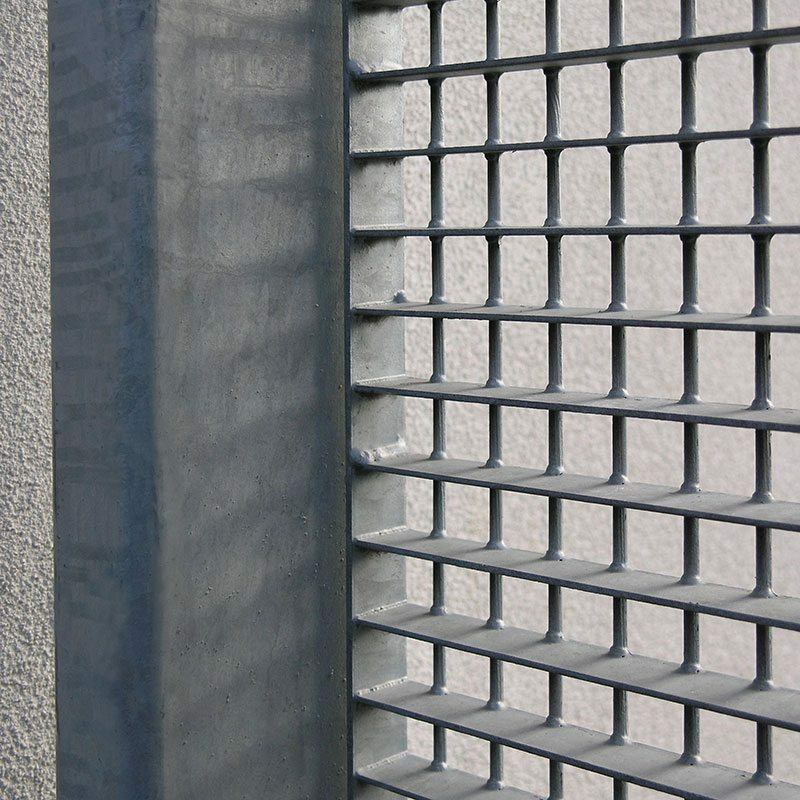 Framed panels are supplied to custom sizes with bracket fixings or holed for bolting into a secondary frame-work. 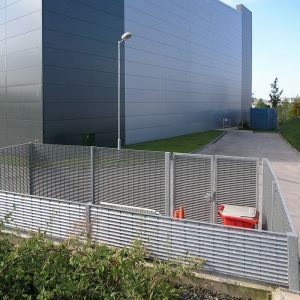 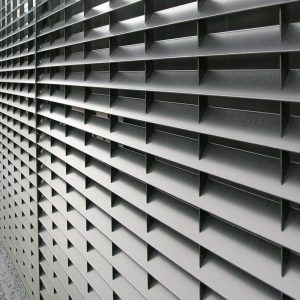 Panels and ancillary steelwork can be supplied hot-dip galvanized only or with an additional powder coating in any RAL colour.